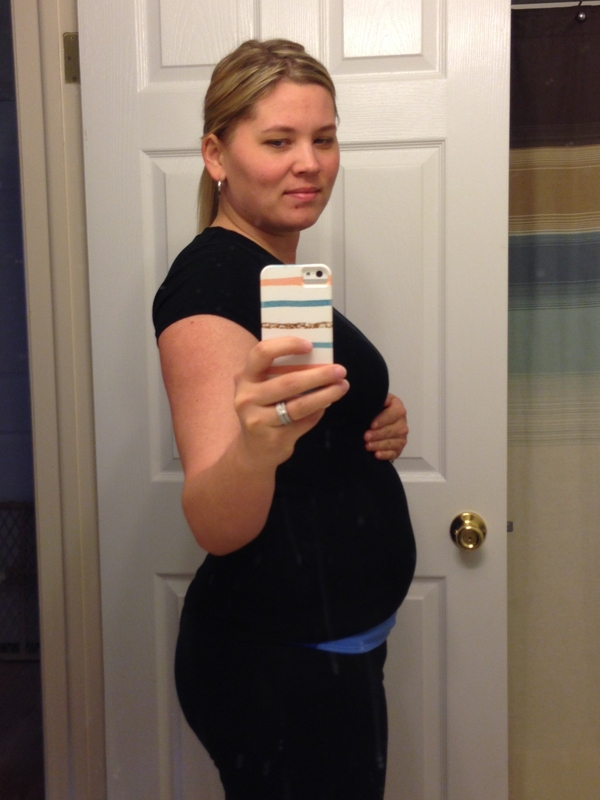 14 Weeks – Our Happy Place & Co. 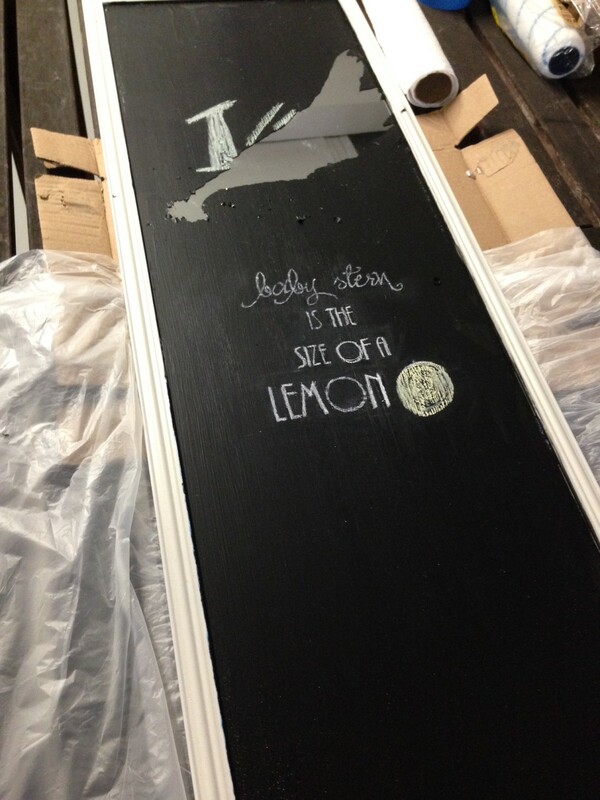 I finally got around to purchasing a mirror and working on creating a chalkboard to document baby Stern’s progress. I didn’t have any luck, I think all the DIY spirits were working against me. The paint streaked and created lines on the first coat; I tried a different brush on the second coat, which seemed to help, but when I went down last night to start writing on it the chalk pulled the paint right off the mirror. I nearly cried. 😦 I’ve been working on this for a week and want to start using it so badly. So, that board is going in the trash and to move the process along, I’m just going to buy an actual chalkboard and get these creations moving. Here’s a week 14 mirror picture, promising next weeks will be a little more creative! Best moment of this week: Scheduling our gender reveal! If you saw my post earlier this week, we’re starting to put together ideas for the nursery. Pinterest has my head spinning with way too many cute ideas and what I thought would be an easy Craigslist pick for a refurbished dresser, has turned in to a multi-state man hunt for the perfect piece of furniture. Dan and I are headed to Virginia this weekend and our crossing our fingers we find a treasure that will fit perfectly in the nursery. ← Where are the tissues?